The North American Collection is the Hearst Museum’s largest collection, consisting of more than 500,000 catalogue records, almost 400,000 of which are archaeological. California alone includes almost 350,000 catalog records. The ethnographic collections arise from three main sources. The first, the California Survey (ca. 1899–1908), represents the most extensive period of collecting of California ethnology in the Museum’s history. Alfred Kroeber was assisted by faculty and students such as Pliny Goddard, Thomas T. Waterman, and Samuel A. Barrett. The great strength of the collections is its systematic nature. That is, objects were collected according to a coherent principle of selection. In most cases, the cultural contexts of each object was amply documented in notes, maps, photographs, film, and sound recordings. A second, much smaller collection was produced by Ishi, a Yahi Indian, when he lived at the Museum in its San Francisco location between 1911 and 1916. Among the objects he made were many beautiful and technically outstanding projectile points made of obsidian and glass. A third collection originated from a smaller second California survey (ca. 1925–1935), and by a cluster of private collections, composed mostly of baskets made as tourist items and sold on the market. This includes the collections of Edwin L. McLeod (1915) and Grace Blair du Pue (1944). 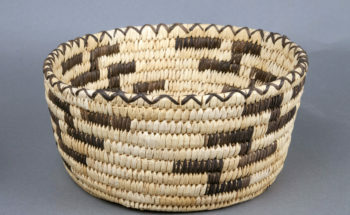 The Museum is especially well known for its collection of more than 8,000 California baskets. One of the largest collections in the world, the collection is especially comprehensive and well-documented. 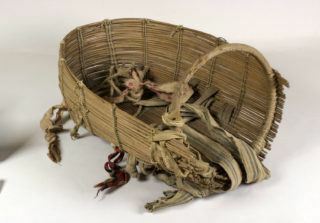 Particularly significant collections come from the Klamath River region (Yurok, Karuk, and Hupa) and the Pomo, as well as an early signed presentation basket by Ventureño Chumash weaver Maria Marta Zaputimeu, ca. 1825. The Museum’s strength in California archaeology goes back to the very beginning, when the Museum’s founder, Phoebe Hearst, sent Philip M. Jones to excavate in the Channel Islands and the Central Valley (1899–1902). 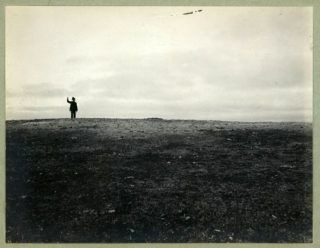 During the following years, the San Francisco Bay shellmounds were explored, first by Max Uhle (1902), and then Nels Nelson (1906–1911), Llewellyn L. Loud (1911-1913) and Edward Gifford and W. Egbert Schenck (1924–1925). In 1942, the Sacramento Junior College transferred Jeremiah B. Lillard’s collection consisting of his excavations in the Sacramento-San Joaquin River Delta region of Central California. The Museum’s strength in California archaeology was greatly enhanced by the efforts of Berkeley professor Robert F. Heizer and his students during the 1940s and 1950s. Often working in advance of the mid-twentieth century dams and road projects that destroyed many of California’s archaeological sites, they set out to formulate for the first time a complete regional and temporal reconstruction of the region’s earliest inhabitants. The University of California Archaeological Survey collection, numbering 178,000 catalog entries, represents about two-thirds of the California collection. The end of the California Survey and the rise of cultural resource management archaeology in the 1970’s marked the end of the museum’s involvement in field archaeology. The Museum, however, had continued to accession archaeological collections during recent decades. One example is the 13,000 object collection from the San Francisco historic waterfront that were salvaged when the city expanded its sewer lines in 1978. The collection likely represents the most comprehensive “type collection” of historic artifacts from nineteenth century San Francisco. 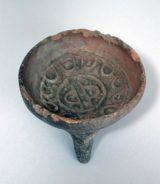 Another example of a recent accession is a collection from the final 1999 excavation of the Emeryville Shellmound, one of the largest and oldest archaeological sites in the San Francisco Bay Area. This accession makes the Museum the sole repository of all the artifacts excavated from this important site for over a century. The archaeological collection from Nevada includes more than 40,000 catalog records totaling more than 200,000 individual objects. Alfred Kroeber showed an early interest in the region, which resulted in the exploration of important prehistoric sites such as Lovelock Cave and the Humboldt Lake Basin. In the 1950s and 1960s, Heizer and his students followed Llewellyn L. Loud’s steps and expanded the Museum’s collections to encompass the entire chronological span of the state, from very ancient caves and sites like the Leonard Rockshelter in Churchill County, to contemporary native villages used until the beginning of the 20th century in Lander County. This area is largely represented by a collection made by the Alaska Commercial Company in the late nineteenth century. In 1897, the University of California was given 2,400 artifacts collected from all three culture areas represented in Alaska: the Eskimo of the Arctic, the Athapaskan of the Subarctic, and the Tlingit and Haida of the Northwest Coast. The company traders were quite eclectic in their collecting strategy, acquiring trade novelties as well as more traditional items. This accession is complemented by the related collection amassed by Charles L. Hall, an Alaska Commercial Company employee. Faculty curator Nelson Graburn also donated his well-documented collection of Canadian Inuit soapstone sculpture. While relatively small, the Northwest Coast collection includes some important Tlingit and Haida objects. Among them are a monumental Haida totem pole and a pair of Kwakwaka’wakw house posts collected by Charles F. Newcombe; Haida argillite sculpture, including a decorative plate attributed to famed Haida carver Charles Edenshaw; and Tlingit artifacts from early geographer George Davidson. The Museum has important holdings from the Southwest United States, with Phoebe Hearst’s own donations, especially Pueblo and Navajo textiles, the George Pepper Pueblo pottery collection (1903), Kroeber’s well-documented collection from Zuni (1918), and representative 1930s collections from geology professor Norman E. A. Hinds. From the Plains, there are some important early collections such as the Osage and Omaha objects collected by Native anthropologist Francis LaFlesche and Apache and Kiowa objects collected by Army General Hugh L. Scott. Additional objects from this region were collected during Samuel Barrett’s filming of the Blackfoot and Sioux Tribes in the 1960s. Mexico was a personal collecting interest of both Phoebe Hearst and her friend, the anthropologist Zelia Nuttall. Beginning with their efforts, the Hearst Museum possesses the largest museum collection of the finely-woven Saltillo serape blankets in the world. Nuttall also donated some important lacquered items, carved gourds, and textiles. These objects were studied by Katherine D. Jenkins, a student in Berkeley’s Decorative Art Department. Jenkins went on to amass her own extensive collection of Mexican folk art, especially lacquer, during the 1960s and 1970s. 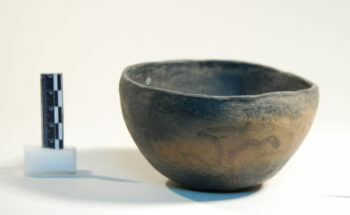 During the late 1950s and early 1960s, Anthropology professor George M. Foster collected pottery from his principal fieldwork site of Tzintzuntzan, Michoacan. He made a comprehensive representation of Mexican folk art, along with pottery and other crafts from Jalisco contributed by his graduate students. 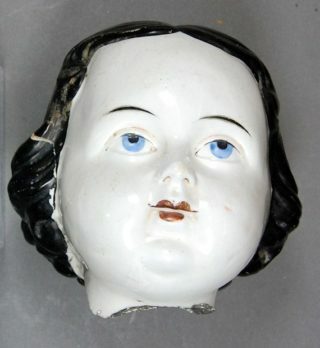 The Museum’s strength in Mexican folk art has recently been expanded upon by the acquisition of two large collections, by Richard Vietti and John Paul, with more than 1,400 objects, mostly ceramic figurines representing many aspects of life and beliefs of contemporary rural communities. Mexican archaeology is represented by almost 30,000 catalog records. Isabel T. Kelly used a large sample of ceramic vessel fragments (9,500 objects) to create her comprehensive pottery typology in 1935. Important collections were donated by William Massey and the geographer Carl O. Sauer (Baja California), Richard Brooks (Chihuahua and Durango), and Edward W. Gifford (Sonora and Nayarit). The Museum also has a significant North American collection from non-Native American peoples. The collection that the Museum inherited from Berkeley’s former Decorative Art & Design Department is especially strong in textiles, and also contains media. The collection includes 19th-century quilts and coverlets and part of the studio collection of textile designer Dorothy Liebes (ca. 1950–1960s). Highlights from the relatively small but important collection of American folk art include carving and textiles from African-Americans and New Mexican Hispanics.